With our cane holder, you'll be able to hang your cane on tables, store counters, and other objects anytime! <Cane Holder> - Does Your Cane Need a Spare Hand? Deciding where to set down your cane when you’re grabbing the mail or paying for groceries can be a nuisance, right? 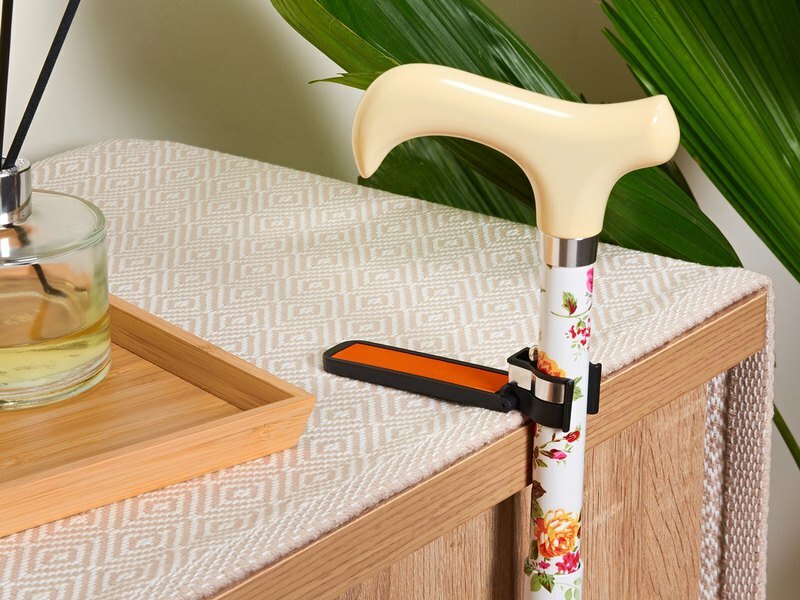 Well, with our cane holder, you’ll be able to hang your cane on tables, store counters, and other objects that are about as tall as the cane itself. *Our cane holder can fit onto most of the cane sizes. *ATTENTION: There might be a little bit color difference between the color you see on the computer screen and the actual color on the product, please kindly understand.